Portfolio Management Services (PMS) is a professional service offered by experts for the portfolio management. In this service, Portfolio Manager manages client portfolio on their behalf. The prime objective of PMS is to help the client in getting highest returns. Historically, some of the PMS has generated exorbitant wealth for the investors. E.g If you had invested Rs 25 Lakh in Porinju Veliyath’s Equity Intelligence PMS five years ago, your investment would be worth around Rs 1.25 crore today. What is Portfolio Management Services? What are the benefits of PMS? How does it work? 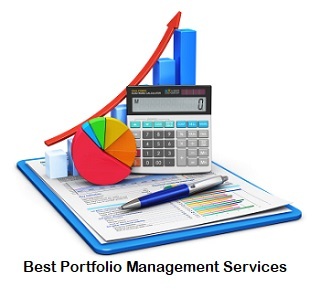 Which are Best Portfolio Management Services (PMS) in India? Let’s try to get answers to these questions. In simple terms, portfolio management services is a service in which your equity portfolio is managed by the professional portfolio manager. The entire decision of buying or selling of stock is done by them on your behalf. The portfolio manager possesses rich experience and is backed by a research team. The portfolio manager charges fees in order to manage portfolio. This type of service is taken by High net worth individual or institutions. The minimum portfolio size for availing PMS services is 25 Lakh. In general, there are two types of PMS services namely Discretionary and Non-Discretionary. Discretionary PMS – In Discretionary PMS, your portfolio is managed entirely by the portfolio manager. The decision about where to invest and at what time is at the discretion of Portfolio manager. Non-Discretionary PMS – In Non-Discretionary PMS, your portfolio is partially managed by the portfolio manager. Your portfolio manager advice you about buy and sell activities. The execution of trade take place after taking consent from you. In India, most of the PMS providers offers Discretionary services. Once you opt for the services offered by PMS, a dedicated portfolio manager shall be allocated to you. You need to make payment by cheque and transfer your existing shares to the PMS account. You need to sign portfolio management agreement and demat account opening form. There will be separate demat account once you opt for PMS. Apart from this, you need to submit PAN card, Aadhaar card and residence proof. A portfolio manager showcases a model portfolio based on your risk profile and financial goal. Based on your agreement investments take place. A portfolio manager makes changes to your portfolio based on market condition and risk profile. This is to ensure maximum gain from the invested money. You will get regular updates about the performance of your portfolio. PMS is managed by a qualified and experienced portfolio manager. So, you are likely to get superior returns by adopting PMS. A stock portfolio backed by a high level of investment expertise and research. Personalization and customization based on the risk profile of the investor. Portfolio Manager is directly accountable to the client, a client can seek justification especially in case of discretionary services. The complete transparency is another benefit of PMS. The client will be updated time to time about the performance of the portfolio. Equity Intelligence PMS is claimed to be Best Portfolio Management Service Provider in India. Equity Intelligence was incorporated in 2002. It is backed by Investment guru Porinju Veliyath. It is SEBI registered portfolio management firm with a track record of providing a very good return to the investor. It is claimed that since inception EQ PMS has generated 32.76% return for the investor. This year in FY2017 EQ PMS has generated 46.98% return. The minimum Investment required for this PMS is Rs.50 Lakh. Earlier it was Rs.25 Lakh but in order to maintain quality and to reduce rush this amount is increased to Rs.50 lakh. The fees charged by EQ PMS is 2% per annum charged quarterly @0.5% on average NAV and 10% share of the returns above 10% per annum. For more information visit EQ PMS website. The second Best PMS on the list is Motilal Oswal Next Trillon Dollar Opportunity (NTDOP). Motilal Oswal PMS was established way back in 2003. In last five years this PMS has generated 31.5% return for the investor. It is backed by dedicated team of experts including Raamdeo Agrawal. The minimum investment required for Motilal Oswal Next Trillion Dollar Opportunity is 25 Lakh. You can top up this plan with additional amount 5 Lakh. The fees for this PMS is variable and based on the performance of portfolio. NRI can also invest in this PMS services. ASK India Select is third best portfolio management service in India. ASK India is backed by team of experts. ASK India select has generated 26.4% return in last five years. The minimum investment required for ASK India select PMS is 5 Lakh. You can increase this investment any time. The fixed fees for this PMS is 2.5% to 3.50%. In addition to this, client needs to pay brokerage amount. Apart from fixed fees additional variable component of performance based fees is also involved. Overall it is a good choice for investment. You should consider following points while selecting PMS for the investment. First thing you need to consider is Investment Horizon. Your horizon can be short term, long term or medium term. Portfolio Strategy and performance is another important point to consider. A portfolio should beat the benchmark. Minimum investment also matters. Some PMS offers services with minimum investment amount of Rs.50 lakh. Higher the amount means higher the risk. Entry and exit load charged by PMS is another important factor one should consider. Some PMS has Lock-in period. You should stay away from such PMS. Fees charged by the PMS is another important point one should consider before making any investment. Should you Opt for PMS? Portfolio Management Services are recommended only for High Net worth individual with high risk taking capacity. This service is not recommended for the normal investor. If you have the capacity to invest in the stock market, but you are lacking with skill and time PMS is for you. Note – The selection of Best Portfolio Management services given above is based on user feedback and experience. I have not availed any services from above PMS. You are requested to carryout own due diligence before making investment in any PMS. It is advisable to do a proper research of the Portfolio Management firm or the Portfolio Manager before choosing them. Also do not blindly trust on the reports that they show as it may include inflated numbers. It would be better if I invest lumsum amount in any balanced fund? I think you should opt SIP route. 1. Highly appreciate your disclaimer, that you wrote this blog w/o subscribing to PMS yourself. 2. I have subscribed to Motilal Oswal PMS service since 2005, but closed in 2016 as I turned to be a US based NRI. My experience: Large cap based conservative PS is as good as any Large cap MF; however, mid cap PMS is highly beneficial compared to MF. One lesson/advice given to me was to periodically take awy the profit which I did not do. Service is good. There are other schemes like on Real estate, but with lock-in periods. 3. Usually the corpus asked for PMS is 25 lakhs for residents, and 50 for NRIs. 4. Many MF houses like HDFC offer PMS through Kotak securities, but part f funds used for a MF. 5. One disadvantage compared to MF: each year one needs to pay taxon short-term gains. Can you tell how much % return you got on your Portfolio by subscribing to Motilal Oswal PMS?